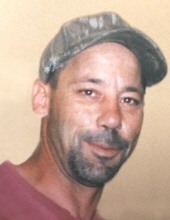 David Wesley Ward – age 56, of Fenton, died Dec. 1, 2018. Funeral services will be held at 3 p.m. on Saturday, Dec. 8, 2018 at Sharp Funeral Homes, Linden Chapel, 209 E. Broad St., Linden. Pastor Pat Brady officiating. Burial and graveside services will take place at a later date in Tyrone Memory Garden, Tyrone Township. Visitation will be held at the funeral home from 12 p.m. to 3 p.m. on Dec. 8, 2018. Those desiring may make contributions to the Brain Injury Association of Michigan, 7305 Grand River, Brighton, MI 48114. David was born December 14, 1961 in San Francisco, CA, the son of David Royce and Marilyn Jane (Lohmier) Ward. He lived his entire life in the Fenton/Linden area as a skilled carpenter and avid outdoorsman. David had a passion for music and enjoyed playing the guitar and drums. He is survived by his children, Tyler Ward and Patricia Ward both of Fenton; mother, Marilyn Ward of Fenton; brothers, Dennis Ward of Fenton, Erick and wife, Jennifer Ward of Linden, Steven and wife, Susan Robin of Texas, and Jeffrey and wife, Destiny Commet of Rochester Hills; several nieces and nephews; and many special friends. He was preceded in death by his father, David Ward and brother, Michael Cortez. Tributes may be shared at www.sharpfuneralhomes.com. To send flowers or a remembrance gift to the family of David Wesley Ward, please visit our Tribute Store. "Email Address" would like to share the life celebration of David Wesley Ward. Click on the "link" to go to share a favorite memory or leave a condolence message for the family.